Say ‘hellojo’ to Play OJO, a brand new casino that launched in 2017. Its smiley-faced logo promises to put a grin on players’ faces, with one of the most confident offers an online casino has ever made. It’s thrown the gauntlet down to other iGaming casinos, evidenced by unique welcome bonus. PlayOJO offers new players cash back with every single wager – a bold step that backs up its motto of being ‘a fairer online casino’. This is just the tip of the iceberg of what makes Play OJO one of the most exciting new online gambling destinations. With a solid range of games and bonuses, it’s sure to attract a wide range of members! Play OJO is operated by leading software company SkillOnNet, which also provides the proprietary software the platform runs on. It’s able to integrate games from a number of leading designers, including NetEnt, Microgaming, Amaya Gaming, NextGen Gaming, Blueprint Gaming and WMS. There are over 500 games to try at Play OJO, including a wide mix of slots, table games and a great live casino section. Browsing all of these game options is a breeze too, with members able to choose to see the titles as icons or as a list that they can quickly scroll through. Along with the games and continuous cash back, Play OJO offers to stick the boot in with its special Kicker promotions that are dealt out every day. There’s also the exclusive A-Listers club with special rewards, including a spin of the fabulous Play OJO Wheel, unlocked when you reach a certain level. There are hundreds of slots to spin at Play OJO, as well as a large selection of table games and live casino lobbies. 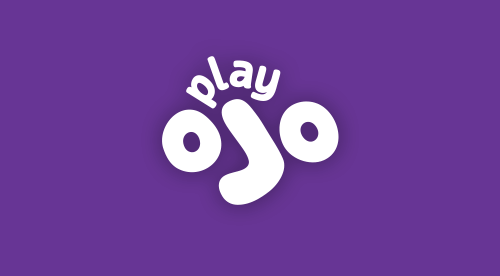 This gives Play OJO a very balanced approach to gaming. Clicking on the Slot Play section brings up three handy categories to browse a hand-picked selection – New, Popular and OJO’s Picks – with a cracking combination of old favourites and new titles like Ninja Master, Great Wild Elk and Immortal Romance. Rather than lump all the table games under one roof, Play OJO has separate categories for Roulette, Blackjack and Card Play, which covers Video Poker and Baccarat. Here players can find their favourite variations of these customary casino games, including all the live casino options too, so there’s no need to flit between screens. Play OJO is all about changing the way an online casino runs. One of the ways it does that is giving the site a face – and not just the smiling logo. In the About Play OJO section, players can read the manifesto that it’s striving to achieve, while the Bio section offers the chance to learn about the real people who operate the casino. It gives Play OJO a much more human and down-to-earth tone that’s unlike any other casino, making it something that’ll appeal to a lot of players.